Here it is snowing in March and you can’t help think about another fantastic year of spending some vacation time on a houseboat. What can be more relaxing than enjoying Canadian summers on the water meandering through lakes, rivers and islands on a houseboat. Enjoying the outdoors and basking in the sun, swimming where you please and fishing in some of the best waters is the ideal way to spend time with family and friends. Once you have booked your houseboat vacation you will be excited and want to start planning what to bring. Although we have some trips already planned for the summer we are now experienced to know what to bring if a last minute opportunity arises to rent a houseboat. Being well prepared will ensure you will have an enjoyable time and having gone through the preparation a number of times we seem to have it down pat. As a good start there is an excellent checklist of what to bring included in our website. You may want to bring more or less but it is a good start and help thinking of what you may want to bring. Some items are obvious but there are some that you may never thought of. Are you bringing your family pet? Remember they have special needs too. You will need to be sure to bring enough food and treats for them. They will also enjoy their favourite toys and if they like to swim bring some fun water toys for them. Bring extra towels so you can dry them off before they jump back aboard the houseboat. What is very important when you bring your furry friends is to ensure you have started tick prevention before letting play in the wooded areas. Ticks are a serious problem not only to humans but to our special family members. You should consider visiting your family veterinarian around March if you are planning a trip spring or early summer to get the right preventative care for your pet. 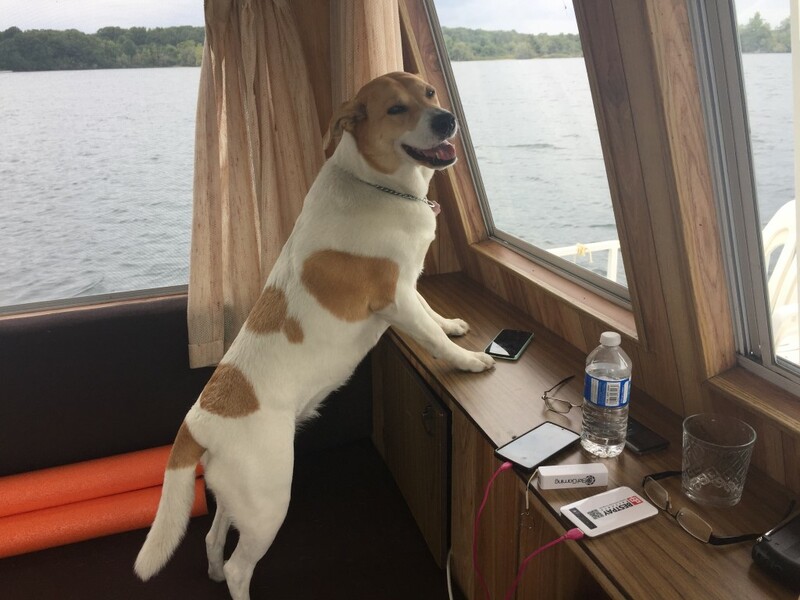 Even though your houseboating adventure maybe some time away you have thought about everything, made your lists and made the appointment for the veterinarian … perfect you are all ready …. Almost! If this your first time houseboating it would be great to know more about how to maneuver and drive a houseboat. 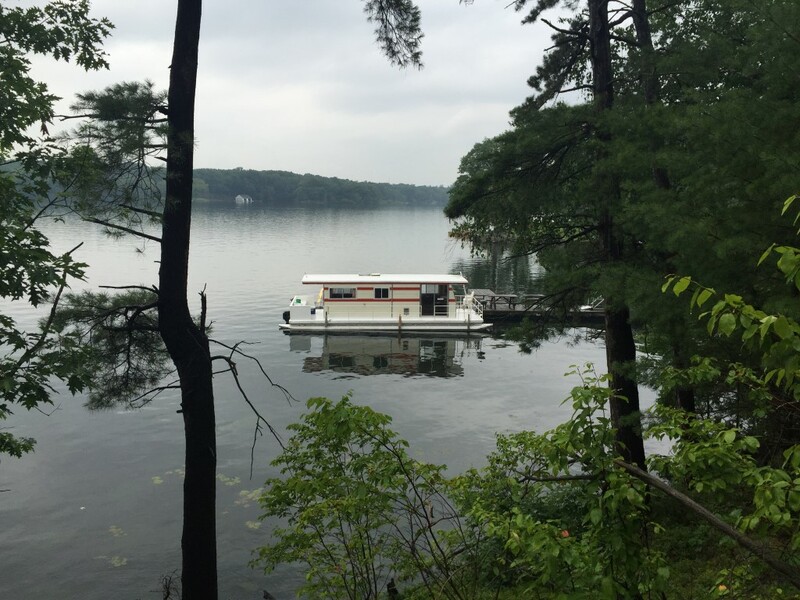 Most houseboat rental companies don’t require you to have a license as you will be provided orientation when you arrive and they will ensure you are comfortable with the boat before you leave the dock. Getting a Pleasure Craft Boaters Licence is very easy and it is an excellent process for the captain and others to go through and highly recommended. Understanding the basic rules and how to safely operate a boat will put you much more at ease and again make your trip that much more enjoyable. The Pleasure Craft Boaters Licence is obtained on line once you have reviewed the reference material provided and completed the on-line test. Once you have your licence there is no need to renew it. You are now ready for your houseboat vacation … we just need the spring/summer weather to be friendly to us. And remember, don’t operate a boat while consuming alcohol …. the same rules apply as if you are driving your car …. You will lose your licence or even worse!